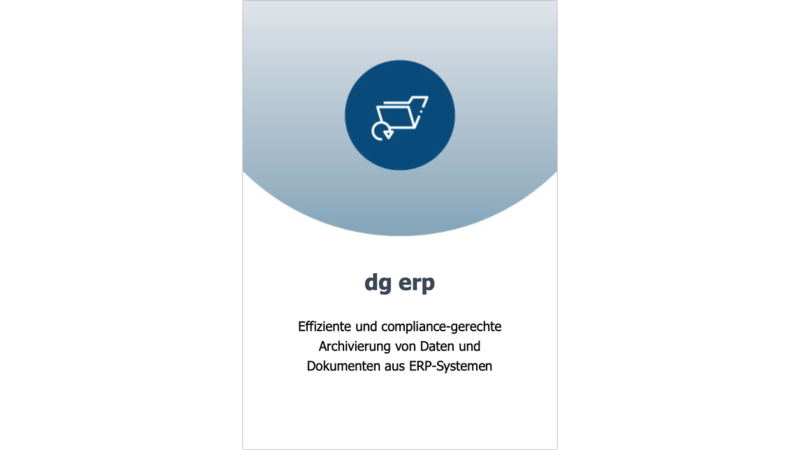 dg erp is the solution for archiving data and documents from your ERP systems such as SAP, Microsoft Dynamics, Baan u.v.a.m. It connects your ERP system with dg hyparchive, the powerful Unified Archiving Backbone. In the following, the product is described using the SAP example. The same applies to the other supported ERP systems. Just ask us for support for your specific system.